In this article series we asked international engineers working in Japan to share their experiences. This time, Arben, who started his job in Tokyo 3 months ago, talks about studying Japanese, what it is like to work in a Japanese company, the work culture, diversity in Japan and Singapore, and takes a closer look at the concept of “kaizen”. Singapore and Japan, what’s the difference? So what’s the work culture like in Japan? Born and raised in the Philippines, I graduated with a Bachelor of Science in Computer Engineering. Since then I gained several years of experience in the IT industry, working for various companies, both in the Philippines and in Singapore. I have programmed mostly open-source software with development tools like PHP, MySQL, Linux-based OS, and Apache web server. I also have experience in proprietary software development such as IBM Lotus Notes (Lotus Script) database development. Prior to being employed by a Japanese company, I had been learning Japanese for about 1 year and 3 months. In the first 6 months I attended language classes twice a week while working full-time back in Singapore. The remaining 9 months I spent studying full-time in a Japanese school here in Tokyo. I came to Japan to be able to fully commit to learning Japanese for one year. Even though I was studying the language at a school when I was in Singapore, I rarely had the opportunity to practice my Japanese outside of class. Coming to Japan could provide that much-needed exposure and allow me to practice my speaking skills with the locals. With this in mind, I enrolled in a Japanese language school in Tokyo and took on a part-time job in the service industry. The student visa allowed me to take advantage of a 28-hours per week work-permit for students, through which I gained additional conversation opportunities and learning experiences. Within one year after coming to Japan I aimed towards the JLPT N2 level. Without ever having taken the JLPT before, it felt daring, but I signed up for the exam in July. Not to anyone’s surprise, I did not pass. After all, it’s tall order to go from complete beginner to taking the N2 after only one year of studying Japanese. Still, the result did not stop me from trying to get a job in Tokyo. Fortunately, I found a position at a Japanese company that wants to diversify their workforce and was looking for international applicants from all over the world. Almost two months have passed since I joined the company. I was assigned to the research and development section where most of the company’s software is initially developed. With my current level of Japanese, it would have been a daunting task to even attempt to communicate with the other team members if it were not for my team leader. He had lived overseas for a few months and has good English skills. Not only did he support me during conversations and helped me to ease into the new job but he also imparted the ins and outs of the development process adopted by the team to me. I have to admit that the first few weeks were tough for someone who is not familiar with the Japanese working culture. Morning assemblies, or 朝礼 (chōrei), are a daily norm and were a surprise to me. Their purpose is to provide a space where everyone can communicate with each other about just anything. Be it an interesting article you read the other day that you want to share, or perhaps a more personal detail about yourself such as your hobbies. Any topic that one thinks might be beneficial to the dynamic of the team members is welcome. For someone like me who is still learning the language and working on their communication skills, delivering speeches and commenting about certain topics are great ways to learn through exposure. At first, it really doesn’t matter whether you are speaking in broken Japanese, or whether the topic you have picked isn’t interesting. What matters is the effort you put into striving towards self-improvement, especially when it comes to communication. It is undeniably a far cry from when I was working in Singapore. Even though I am no native speaker, conversing and communicating in English was not that much of a hurdle. Even though the culture in Singapore is different from the one in my home country, it only took a fairly short amount of time to get accustomed to the new environment. It may be attributed to that fact I was able to meet quite a few of my fellow countrymen, which made it feel somewhat closer to home. Even back at the company I worked at, being with many other Filipinos, I never really felt the difference in culture at and outside of work. While Singapore, thanks to its international populace and diverse religious beliefs and practices, boasts a relatively wide range of cultures, Japan is deeply rooted in its tradition as shaped by its long history. These cultural characteristics are also evident in the modern working environment. Singapore has been dubbed as the country where “East meets West” for its openness towards foreign talent and workers stretching across even the western countries. The country itself is an amalgamation of people from different walks of life. Back at my company, Singaporeans work together with staff mostly other Asians including but not limited to India, China, Malaysia, Indonesia, Vietnam, Myanmar, and the Philippines. A melting pot of culture and ethnicity, if you will. There were also employees from non-Asian countries like Australia and Britain though I never really got to engage with them as they were from different departments. Japan too, recently has started to strive towards diversity, particularly in its workforce. At my current company, people are slowly embracing the notion of fully committing to making the company globally competitive and thus opening up opportunities towards people from around the world. In my department, there are a lot of international employees, most of them from Korea. While one would say it is a step towards diversity, Japan’s and Korea’s culture are still somewhat similar, thus opinions tend to converge toward a single pattern. If Japanese companies become successful in fully integrating foreign manpower into their work culture and infrastructure, I believe it will only positively impact the progress of the country towards global competitiveness. Compared to countries like Singapore, Japan has access to a much more diverse workforce. People not only from Asian countries, but from Northern and Latin Americas, European, and even Middle Eastern countries as well, seek opportunities in Japan. If successfully leveraged, companies and the country as a whole can bring about significant change not just in social and cultural aspects but also in Japan’s business and economic outlook. No matter where in the world, people are always working while looking to improve something. Be it their lifestyle, social status, or plainly just for self-improvement. It was that way back where I came from. People work to survive. For those few people that managed to get a job that pays well above the average, there is rarely any reason to work hard beyond what is expected of you. Your work ends at six? You get off at six. In the very rare occasion that you have to do overtime work, there would always be a business decision as a reason behind it. Maybe a deadline for the release of a product that you must meet. Or perhaps an uneventful software infrastructure failure that needs to be resolved before the next working day. It is within the scope of the job you do, but it is usually something you work hard to prevent from even happening in the first place. It is the sense of improvement that is centered towards one’s own self. In Japanese work culture, there is a very different approach toward improvement. 改善 (kaizen), as it is called, is the concept of continuous improvement, and it comes in many different forms. You work to improve not only for your own self but everything around you as well. It could be a struggling co-worker stuck on a certain part of a task. In Japan, extending a helping hand towards others is a common characteristic found even in the workplace. Just as you are helping a co-worker, everyone not just expects you to seek help from others, they welcome you to it. One can see that improvement extends beyond one’s self and across the people around as well. Another form of kaizen is the improvement of the work process. 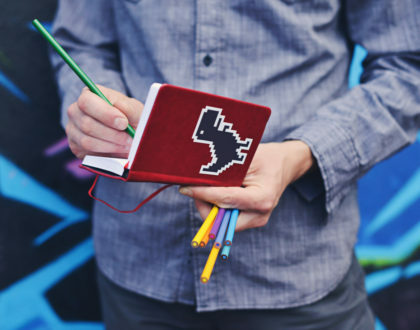 Team members are expected to seek even the slightest improvements that have the possibility of allowing the task to be done either with greater ease or in a shorter amount of time. The notion of kaizen was probably something I searched for before. Back in my previous job, the company I worked at was stuck with a legacy system and was hesitant in migrating to a more recent one. The company was so entrenched in the old system that any suggestion for improvement is met with doubt and skepticism. Granted, the company is a large organization and migrating numerous applications into a different and more recent system would require a large amount of manpower and years of development, plus the cost of maintaining two systems at the same time capitulating to the necessary migration process. Still, inactivity is a recipe for disaster: prolonging the inevitable restructuring of the old system would not only cost the company even more resources in the end but also would halt much of the production necessary for operation. It would be better to slowly ease into a new system bit by bit, than never committing to any change at all. This mindset of keeping the old ways has a much more profound effect on the company as a whole. Not trying out new systems meant not having to try out new methods and processes for the tasks. This ultimately leads to a lack of activity and to stagnation. Given the monotony of performing the daily tasks for the job, one would not be blamed for seeking improvements with the current system. It is always possible to suggest enhancements, but if the current system discourages the effort, nothing would happen, and it would just go to waste. The company was not actively discouraging such efforts. In its current system, suggesting improvements to the database applications meant the necessity for the development team to apply for a change request, which leads to submission and approval by the higher-ups. The whole process takes so much time and one would be better of working on a completely different task instead of waiting for the approval. In the rare occasion of such a request ever get approved, various other facets of the application should be considered. Will the change still be relevant to the current situation? Have there been other changes performed on the system that has addressed the issue? If conditions are met, then the change is applied. Applying the change to the production system would again require a submission-and-approval process, which would take even more time to fully accomplish. Implementing even a minor improvement is a long and grueling process. One cannot be blamed for thinking, it’s not worth it. Self-improvement can only take you to a certain point without an outside stimulus. If the environment is not conducive for one’s improvement or self-growth, even with the desire and will to undergo betterment, there will always come a point that one will be limited by external reasons. This was a crucial talking point by the company board member during the seminar for staff members who joined the company mid-career. He suggested that there are those who find themselves constrained by a multitude of factors preventing any sort of personal development. He likened the situation to someone being confined into a room or a box with a ceiling. It doesn’t matter how high the ceiling is; the fact that one’s jumping capability is restricted by something tells us that you can never know how much higher one could soar beyond the boundaries. He mentioned that the company allows its employees to fully achieve his or her own limits by removing that which restricts them from doing so – the figurative ceiling. For me, that ceiling was the workplace system and environment at my old job. From the simplest and most straightforward self-improvement like bettering my Japanese language skill, to the most demanding and most complicated technical aspects of the job, I was given the opportunity to continually pursue ways and methods to improve myself. The best thing is that I no longer have to deal with this on my own. In my workplace, one is encouraged to seek the help of others. This reliability towards each other is a fundamental aspect of the Japanese group mentality. 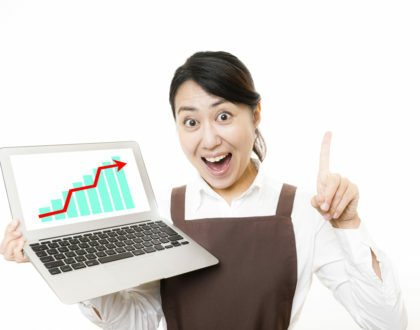 As mentioned before, one is expected to continually improve upon the process in the Japanese workplace. Faced with a problem, one can seek out solutions or offer to try out new things however small it may be. Of course, one cannot just expect to change the current process just because one believes to have found a better way. Expect scrutiny – a rather strict one at that. You have to be able to justify why your proposed idea would improve upon the current one. Moreover, time is of the essence. You do not have the luxury of spending a significant amount of time researching for better ways of dealing with a specific problem. In my experience, what works for the meantime is the best method, however unconventional it may be. Given the short amount of time available to complete one’s research, the challenge is to make the crucial decision on whether or not to carry out the proceeding proposition for the improvement of the process. Within my development team, there is a consensus to stop midway through if results or conclusions are nowhere in sight after a certain period. If given the opportunity to do so, I hope to make bigger changes in the development team’s work process. At the moment, I can only suggest minor improvements not requiring a big commitment in time and effort. Despite that, improvements, however small it may be, are still improvements. A stark contrast to my past work experiences. I wouldn’t go as far to say that I was actively seeking for kaizen. At the very least, I was looking for someplace where self-improvement is encouraged. It just so happens that companies with such an environment are more common in Japan than anywhere else I have ever worked at. While working in a Japanese company, there is always this notion of continuous improvement which you are always subjected to. It gives you the drive to strive beyond what is necessary, to work hard for something in which you will eventually achieve a sense of pride and accomplishment. 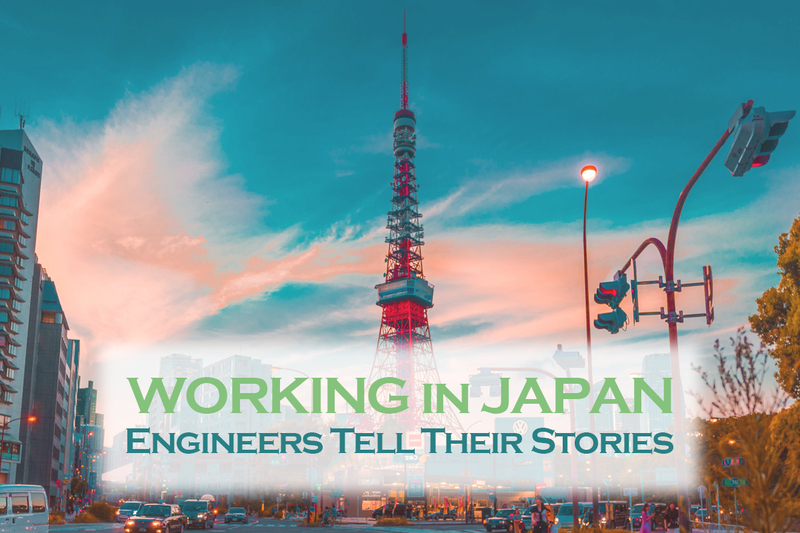 This piece is the first in a series of articles written by engineers, giving insight into what working in Japan is like for them. Updates will come soon, so stay tuned. After years of working at companies in Singapore and the Philippines, I set out to try my luck in Japan. Facing all challenges head-on I managed to secure myself a job in the heart of Shinjuku.